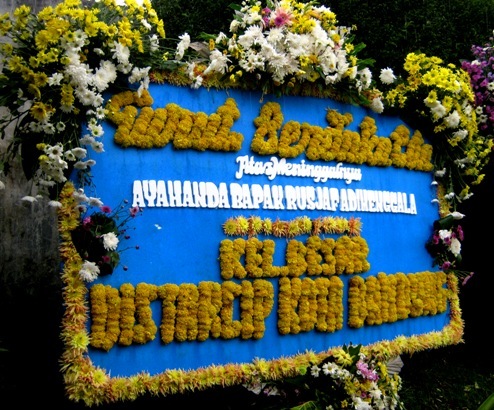 At my cousin’s house in Bandung (West Java, Indonesia), I saw this funeral wreath of my late uncle who passed away last Tuesday (March 19). Last Saturday night, my husband and I went for shopping some stuff. 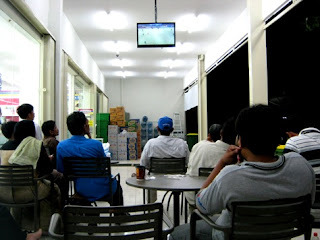 We didn’t go straight to our home sweet home, but stayed to watch the first period of the football game: Indonesia vs. Saudi Arabia. Indonesia football team didn’t win. It’s okay; the end of the conflict in our national football organization is a better thing that just happens. Blue Monday. Have a great week ahead! Great dress for the event. 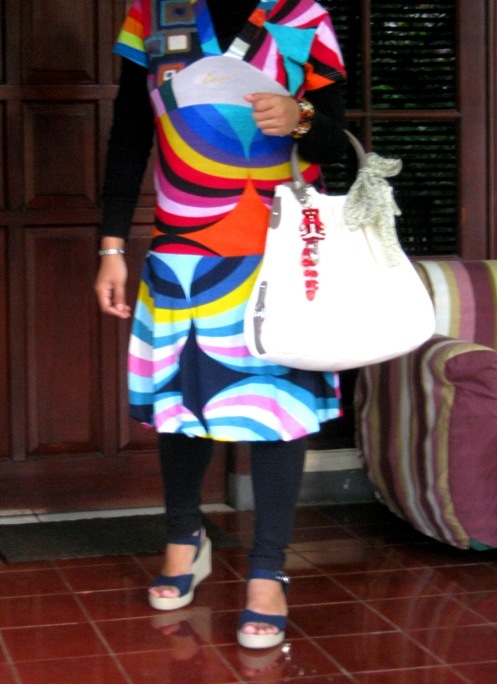 wow, that is one colorful dress! :p great geometric patterns. Your husband must be proud when he sees you wearing "his" dress. This is blue-tiful! Thanks for sharing. I love your colorful dress with the leggings and cute purse. A great pic from your hubs. Smile.